Long time Mantua/Ridgelea resident, Joyce Montgomery, first had the idea of sponsoring a race to raise money for charity. Original thoughts to name it the Rocket Run, were soon changed to name it after the school’s mascot, a raccoon. The Mantua Elementary School Kids Care Club, an after school service club dedicated to helping others, embraced the idea of sponsoring the race and helping with advertising and race day tasks. That first year, in 2000, with only 3 months to plan, almost 200 runners participated raising a few hundred dollars to benefit the Mantua School Care Fund, helping Mantua school families in need. When Roberta Romano, a 5th grade teacher at Mantua ES, was diagnosed with cancer, the idea to name the race in her honor and support Life with Cancer was launched. In the last 18 years, the Raccoon Run has faithfully donated more than $170,000 to Life with Cancer. We are proud to organize an event that brings a caring community together on the same Saturday of Mother’s Day weekend each year to remember a wonderful teacher, friend, wife and mother, for a wonderful cause that touches us all. A special thank you to everyone involved in the Raccoon Run over the years and to everyone who has sponsored and or donated to Life with Cancer in memory of Roberta Romano. We hope you will join us this year and help us celebrate 18 years of running for a good cause. Interested in partnering with us as a race sponsor? Please contact us at TheRaccoonRun@gmail.com. On December 8, 2001, Roberta Romano lost her life to cancer. 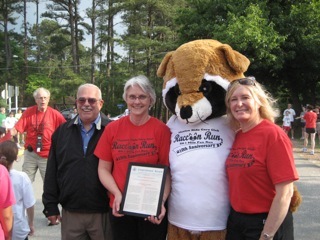 The Kids Care Club of Mantua Elementary School and the community dedicated the 2nd annual Raccoon Run in her memory benefiting Life with Cancer. Roberta Romano was a friend, mother, neighbor and teacher. She taught in Fairfax County Public Schools for over 19 years; 15 of which were at Mantua teaching 5th grade. She worked with children her entire life, by teaching and working at camps – and her compassion spread to her students. She was loved painting, drawing, writing, and needle-pointing and this creativity spread to those she taught and her only daughter, Alexa. 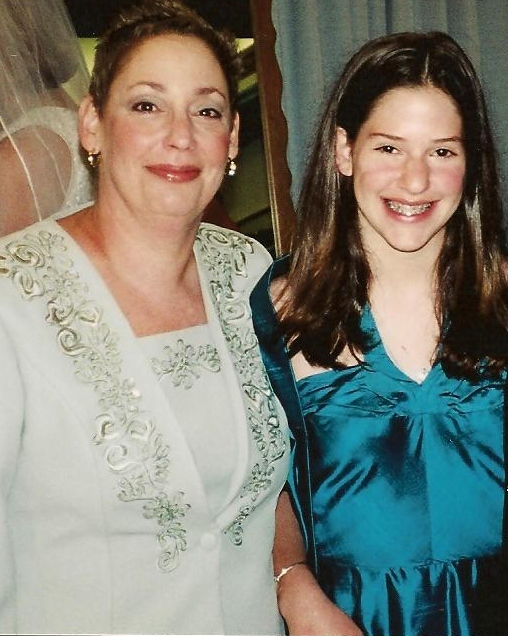 She encouraged her daughter and her students to pursue the things in life they enjoy. 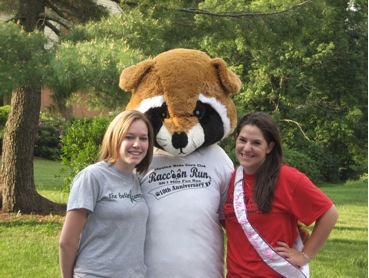 Alexa was involved in the Raccoon Run for seventeen years. Each mother’s day weekend, it is a way to celebrate Roberta’s life by bringing the school, community and neighborhood together for a wonderful cause. Roberta would be honored to know that children are still working together because of her. The impact Roberta had on her students is one of the reasons Alexa, a high school English teacher, became a teacher herself. The Raccoon Run has been an ongoing celebration of her mother’s life and has brought the community together to help those living with cancer. Thank you to Alexa and everyone who organizes and volunteers. The Raccoon Run is a wonderful event to bring the community together, support Life With Cancer, and honor Roberta Romano. Thank you to Alexa and everyone who organizes and volunteers. The event is a wonderful way to bring the community together, support Life With Cancer, and honor Roberta Romano.